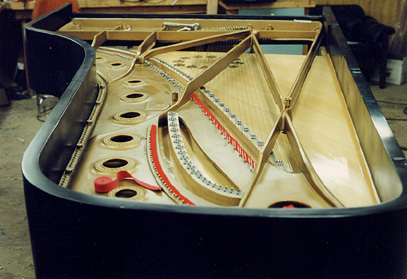 Months and years taken to carefully restore and rebuilt an exceptionnal Steinway, with only the best Steinway and Renner parts. Details... 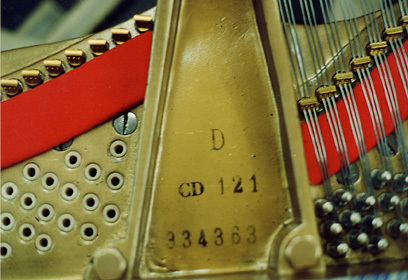 This 1951 N.Y. D Steinway #334363 is labeled CD#121 (Concert Departement #121 ) wich means it has been selected by Steinway & Sons for concert hall specification or Steinway artists promotion. New Steinway pinblock, strings & tuning pins, keeping intact the original sounboard that is the heart and soul of this proud piano. Restored with two different actions: one authentic N.Y.action giving nervous subtle and expressive tone. All new parts (1999)are microbalanced with top technology. It's special twin action dolly holder let you interchange this keyboard/action rack for another complete keyboard/action and mecanism "cloned" on Steinway Hamburg specification with heavier hammers (microbalanced too), bringing in the reputed Hamburg action feeling for brighter and powerfull sound within 5 minutes!!! 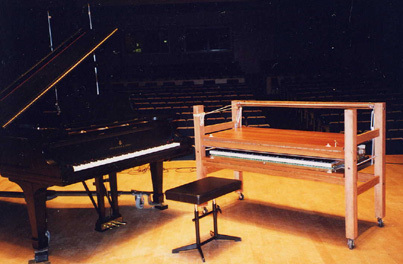 The perfect piano for a recording studio or concert hall; two different kind of tone and touch reaching the specifics whishes of so different artists. 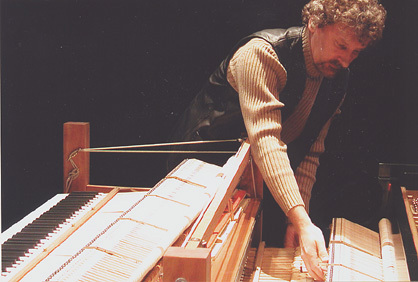 The bass strings section sound typical Steinway and the tone is simply pure & clear particulary in the trebble. 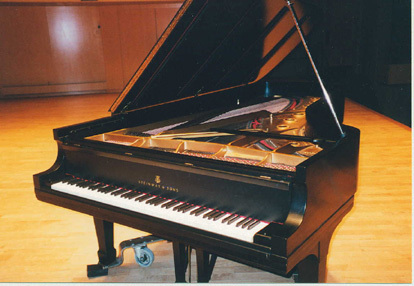 Many artists agree: Aaron Davis ("Holy Cole" pianist) wrotes & comments this piano as "one of the finest he ever played". 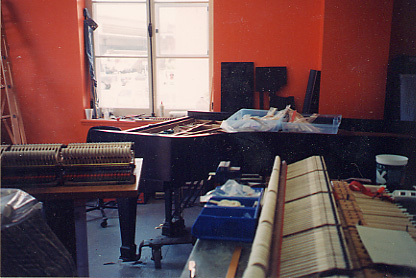 Others wrotes how they are impress how much this piano reach exactly what they want to express... Authentic Gleen Gould"1957" signature among other great pianist written on the plate... Pro Cd recorded on. Hold the second mechanism and ease their exchange.